If you follow this blog closely, you’ll know that I love ESPN’s 30 for 30 films. One aspect of these films I have not gotten into are the shorts, until now. I saved the most emotionally wrenching of these shorts I saw until last. This is the story of John Tuggle. The last player drafted in 1983, the so-called “Mr. Irrelevant” who fought his way onto the Giants team and ultimately was one of the inspirations behind the Giants first Super Bowl run. Things really get going in Hide and Seek starts off with Sung-soo learns that his estranged brother Sung-chul has gone missing. This sends Sung-soo into memories about his past oft-concealed from those he loves and sends him in search of answers and a deepening mystery. When visiting the apartment complex his brother last lived to look over his effects and trying to get answers he spots odd symbols and meets a terrified neighbor Joo-hee. From there on out the film truly intensifies from its eerie start to its shocking finale. Hide and Seek does an expert job at misdirecting its audience cleverly in ways that work (i.e. are not cheats) given the context and the rules of the world built. What also works greatly in this film’s favor is that the whodunit aspect which is implicit in the mystery set-up early on takes a backseat to the atmosphere of quiet terror that builds slowly. For surely enough there is an oddity looming throughout and and as the film progresses it moves up ever-slowly overtaking the tonality of the film as Sung-soo gets ever-closer to the truth. Hide and Seek does have the bones of a classical thriller with many of the elements and tropes built in. There are confined segments there is a modernized rendition of Rear Window aspects with looking about ones apartment complex suspiciously. What makes it stand out are the cultural and auteurist adornments that make it different than the run-of-the-mill. Furthermore, its effectiveness is amplified by the fact that it does retain a certain amount of credibility throughout. Perhaps the greatest testament to the effectiveness of Hide and Seek is that it does a few things in its climax and denouement that are old hat but very effective here. It’s climactic confrontation is rather protracted and has quite a few stages, but never becomes tiresome. This has a lot to do with how the characters are built and portrayed. Secondly, the last few jolts and twists are not by any means unique but are very well-earned due to execution and timing. Hide and Seek is not a front-loaded or fast-moving piece of bombastic horror but rather gets under your skin in a rather usurpatory way. A highly effective fill well worth seeking out. This credibility is buoyed by the fact that the characters are allowed in this film room to have sufficient arcs. The film clocking in at 107 minutes allows for a few things: firstly, it allows large and small mysteries alike to build. Second, as we are being misdirected we believe we understand the characters but as revelations and clarifications are made things come into focus and characters show themselves and how they’ve changed. The temptation to make this a tirade that meanders for far too long, waxes poetic finds any and all tangents and beats them to death several times over is great. However, with a few days I have been able to ponder the impetus for sitting down and writing this in the first place to the reasoned, cautionary bit of friendly advice was meant to be in the first place. In other words, please don’t take this as get-off-my-lawn but rather a necessary suggestion on course correction as we proceed through time as moviegoers. This little moment struck me in so many ways as a microcosm of the current state of moviegoing, and entertainment in general. It was mere seconds after the film had ended, the experience not yet fully absorbed, but already the next one was anticipated and longed for. Clearly, there’s a positive to that. However, there’s a certain lack of even “stopping to smell the roses” indicated when one cannot walk out of an auditorium and wait five minutes before pondering the follow-up. Perhaps the acuity of this particular observation was amplified because it was a parent and a kid (or kids). I distinctly recall not knowing what was coming out far in advance as a child and the surprise seemed to add to the magic. I’m not saying I don’t anticipate things for a long time now, but I still very diligently try to preserve mini-surprises like trying to only see trailers at the movies. I also don’t play the whole teaser to a trailer game. The impact of this particular moment was further amplified by the fact that I anticipated there’d be another X-Men film but I honestly had not read up on it and didn’t even know a title. 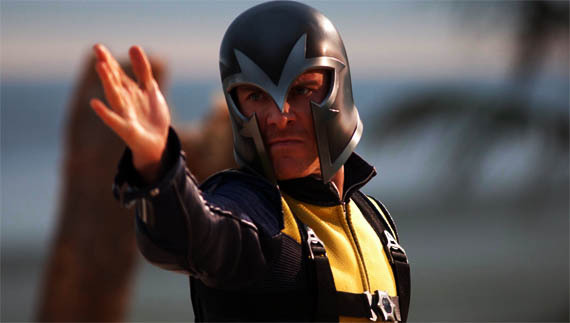 I fully understand that we live in a day and age wherein untitled projects from studios getting a slot three years down the line is news, and press releases including initial synopses get ubiquitous coverage, but I don’t want to look forward to all things at all times, so X-Men fell through the cracks. Not that I’ve had a big issue with any X-Men film. Perhaps it’s due to a subconscious desire to have Sony and Fox fall asleep at the wheel, or strike a deal, to unify the cinematic Marvel universe that I don’t diligently follow their plans. Another reason this moment jumped out to me was that in my blogging I try and strike balance in what I cover. I try and keep current but also not forget cinematic achievements and glories of films past. It seems that the old struggle (for lack of a better word) was to not ignore the past as a film enthusiast. Now with the evolution of Internet coverage it seems at times a struggle to give adequate focus to the present. Is it possible that all this short-sightedness has unexpected positive side-effects, such as more films being “rediscovered” after being too quickly summarily dismissed and/or ignored? Sure, but I wouldn’t count on it. Look, I get that there’s a glut of information out there, and I don’t want to sit here and preach that we should be ignoramuses. I am perfectly aware of my bad habits. For example, I hate casting rumors and prefer confirmations, but I read both. I think my best advice to dealing with an excess of information is that there is a time for everything. So if you love a series you will read about what’s next regardless, but save your thoughts and longings for further installments for an adequate time after seeing the latest. Give it a moratorium. Going back to the specific example that was the catalyst for this piece: I loved First Class a lot. So much so it ended up very high on my year-end list. My watching Days of Future Past was a lock based on how much I liked it. I saw news tidbits and they slipped in-and-out of my consciousness, as it was a film I wanted to see regardless. The trailer enticed me. I liked it quite a bit. Only today five days after seeing it did I start to read up on the stinger that closes it out. Granted it was a longer moratorium than is needed, and it connects to this last film, but it does foreshadow. Everything is cyclical and going against the current, or trying to change is single-handedly, is foolhardy. A certain amount of information has always been available to film lover. It’s just that, like with everything, the Internet has democratized it and moved it out of the sole purview of the trades. I have more frequently lately had to check Fandango to see “What’s out this weekend?” It’s something a while ago I may have been embarrassed to admit, but I’d rather check it to see what’s out this weekend than know what’s out this weekend so I can see what I have to look forward to two or three years from now. One of the hobbyist phases I went through was collecting sports cards, especially baseball cards. The Honus Wagner card was one I knew of when I was younger. All the details regarding the most well-preserved of these rare cards, as well as the controversy about its condition, were news to me. Cinematic Episodes is another cross-medium post wherein the link between cinema and another medium is explored. I have written about adaptations, films in books, characters in comics and other arts hitting the big screen. However, I recently have started to consider some of the technical, and in some ways, narrative similarities film and television have always shared and are starting to share. One of the recent changes to the landscape of television here in the US is that in the gradual shift from the immovable regimented season structure there has also come a redefining of what a season is. Sure, if you follow entertainment outlets you’ll note that the major networks have recently concluded seasons and have announced what has survived to return in the fall and what pilots will be picked up. There is still that traditional structure, however, there is a greater flexibility to it all now than there ever was. There are shows, mostly of the non-scripted variety that start up in the summer; other’s are slated as mid-season replacements. Whereas during the first Golden Age of television seasons would run in excess of 35 episodes; even the now more common 22-episode season is not necessarily the norm. The flexible nature of the length of a season or even a series, as opposed to the old mini-series mold, allows for more cinematic storytelling. In some ways this is a trend that has been adopted by US networks, both premium and not, from foreign TV Markets. And, yes, clearly there is a financial incentive to making smaller commitments, but there is also an artistically liberating aspect to this all as well. One of the best examples of the narrative benefits of a limited TV run can be seen on the Dutch-produced The Secrets of Barslet. This was a show that aired 2012 and was comprised of merely seven episodes. However, for the story being told that was precisely as long as it needed to go. One of the things people can hold against television is that the brass ring is renewal even at the cost of the quality of the product on screen. This and many other foreign series never run into that issue because there is an emphasis, it would seem, on engaging an audience for the run of a show and trying to bring them back for another, as opposed to trying to “squat” on their devotion even as the product they used to love descends into tedium. The Secrets of Barslet is a story that unfolds over the course of seven episodes. Each episode tells the story from the perspective of one of the central characters in the tale. As each perspective is taken into account blanks are filled in and previously unexplained or misunderstood mysteries are brought into sharper focus. There are inevitably through the course of this series incidents that are examined from various angles, both figuratively and literally. Such that the program develops its own shorthand to quickly re-include previously seen scenes so that their place in chronology and the impact to that particular character is instantly made clear. This structure of seven episodes of roundabout an hour of content is not unlike what Bela Tarr did with Satantango, in strictly structural terms only. In that film the structure is not unlike the steps of a tango such that the story will backslide chronologically when dealing with a new character. Here there are backslides, multiple dovetails and then each episode (for the most part) pushes things forward. So that the number is similar, as well as the character-based approach to the narrative. In terms of the aesthetics of the frame and the edit there are obvious differences. Oddly enough, Tarr’s long-take ballet of the camera is, even with a necessary intermission, at its seven-plus hour length is a cumulative, more cinema-friendly experience. When I first viewed it I had it on VHS and watched it on four consecutive nights. When I acquired it on DVD I watched in one day and the experience, though harder to schedule was more complete and moving. The Secrets of Barslet not just with its mysteries but with its addictive nature is perfectly realized as a television show. You finish a chapter and you immediately want to proceed and are forced to wait until you can see the next one. Another similarity it has Satantango is that there are some small mysteries this show feels no need to explain furthermore its not interested in the banal histrionics of having everyone understand everything in the end. True to its format of limited omniscience it allows the viewer to see the whole truth while the characters remain fairly myopic. The Secrets of Barslet is the epitome of a modern cinematic television series not just because of its aesthetic, or the way it cuts but because of its narrative sophistication. One could go into an entirely tangential essay with regards to the title of this gay-themed short film collection its audience baiting and simultaneous unfortunate connotations that do a disservice to the films collected herein, but it is in such a situation where Shakespeare’s standby of “What’s in a name?” is most apropos. Eschewing that angle the seven films herein for the most part handle themes facing gay men in society but also frequently plays with these tropes be they narrative, societal and frequently both. While most of the shorts are American-made, which means the inclination will be to be more comedic in tone there are still very valid points and observations being made through many of them. And illuminating the diversity within a given “minority” segment of a population is one of the many boons that targeted fiction can have, especially if there is a universality to the story-telling. Whether or not the film, short or feature, crosses over to a more mainstream viewing, is nearly incidental. These films follow gay men of different walks of life, in different relationship stages and brings up varied truisms regarding society. To be more specific both Bald Guy (Skallaman), with its very quirky treatment of a story of a parents’ shame and Unanimated (Desanimado), the story of a cartoon character in a live-action world; present very humorous allegories which underscore the absurdity of homophobia by transposing the aversion to other attributes which are equally innocuous or irrational to fear. Both Spooners and Housebroken take humorous looks at rather standard situations. Spooners hilariously plays up societal inclusionary over-eagerness making a mattress purchase for a couple more uncomfortable than it should be. Housebroken seems like its going to the overly-outlandish as commonplace which are the waters that Queer as Folk liked to swim in, but the payoff is a refreshing and hilarious twist. The best thing this collection of shorts has to offer is variety. It goes from quasi-farcical and vaguely surreal comedic concepts to more down-to-earth serio-comic treatments of concerns both large and small. Alaska in Drag tells a fish-out-of-water story told through the eyes of a newcomer to an Alaskan town meeting a black gay co-worker; which incidentally features one of the best retorts to faith-based homophobia I’ve seen. Sabbatical treats an unusual relationship decision with temporal suavity and devoid of histrionics. Lastly, in a fashion not dissimilar to Housebroken, P.D.A. deals with the very common hot-button in relationships of public handholding and thoroughly examines it before reaching a humorous resolution. Similar to an anthology film, a shorts collection will have hits-and-misses, or better yet peaks-and-valleys. This collection has closer to the latter and is better than its title would have you believe. Ilo Ilo tells the story of a Singaporean family and how they are affected when they hire a live-in Filipino maid to help manage the household, one where the parents who both work long hours cannot always dedicate the amount of time required. As events progress the members of the family drift apart from one another, but in different ways grow closer to Teresa (Angeli Bayani). If one is to purchase this film through Film Movement you get the benefit of a statement from the distributor and the director on the inside cover of the DVD case. What this underscored to me is something I took as a given due to my being a dual citizen of the US and Brazil. That fact that director Anthony Chen points out is the hiring of a maid when he was growing up in Singapore was not a “bourgeoisie luxury” but rather a necessity, and this is true in many countries as maid/nanny become a combined role and a necessity where two jobs and longer hours are required just to make ends meet. The home-based tale has an autobiographical slant throughout and one way in which this apparent is the film is a subtle period piece. In a trend that is evermore repeating; films set in the recent past don’t blare as such with loud titles but rather with small clues like events in the news, pay phones, calling cards and Tomagotchis. When this soft approach to instilling a sense of time an place matches the overall movement of the film it’s an even finer choice than it already is in a vacuum. The film’s narrative progression is one that is as gentle as its insinuation of its setting. There is a vignette approach to the story-telling in terms of scene constructions, but that is not to say the film is structurally loose. There is a naturalistic progression of events. And although, even in a dramatic context, there’s not a lot of mystery to the film and the conclusion may be somewhat foregone, you do end up invested in these characters such that even though it doesn’t try to actively pull at you, you care what becomes of them, and in the end how they feel with regards to most things. As with almost any foreign film there are some similar very general themes you run into: for example, it is a window into another culture, there are specifics to the culture that come to light (like the perception of someone who speaks only English) and things that are universal; financial duress, immigration, culture clash and the like. It’s seeing similar themes refracted through another culture that makes the treatment of these themes both unique and universal. I’d admit to more than my share of ignorance about Singapore prior to this film. It caused me to search a bit more based one what I saw here. What this film had me thinking of after it was done was Hitchcock’s analogy about cake. He said some films are slices of life, he liked to make slices of cake. What Ilo Ilo struck me as was the best of both. Yes, for the most part the film is scenes of everyday life and how these characters can or can’t cope with changes in that, how they try and force some changes, how they struggle to relate. However, its all centered on a fulcrum and structured around the introduction of this new presence in the family. Film acting is about subtleties and about how one carries themselves and embodies a role moreso than it is about dialogue. Whereas theatre is an actors’ medium. film is a medium wherein an actor completes the picture and Ilo Ilo succeeds because it has the right actors filling in the blanks. Whether its the very hard shell hiding a scared, loving mother conveyed by Yann Yann Yeo; or the stressed, burden-carrying quiet reasoned concern of Tian Wen Chen; the quiet caring of Angeli Bayani; or the impulsive, often angry, frequently impulsive and infuriating good-at-the-core Jiale played by Jialer Koh; all the pieces are in the right place. Ilo Ilo ultimately moves deftly itself and moves you in much the same way. It’s unsentimentally touching and balances perspectives such that it’s really about the newly created family unit as opposed to one member therein. Its insights and commentaries are specific and universal. An enjoyable all-around viewing experience. Since this is a very different kind of review I will offer some tidbits in the interest of full disclosure. I think it’s fairly safe to say that we all look at our phones too much and it’s part of why the film App is allowed a chance to succeed. I still have a bit of perspective since I find myself in the middle-ground between the technologically illiterate who just don’t get it and the kids growing up with computerized telephony as second nature. I still remember the randomness of sending my first text message and how I followed its evolution from novelty to near-necessity. At the movies I do not silence my phone I TURN IT OFF. It’s not just out of respect but out of necessity. On rare occasion I felt compelled to silence only my restless shifting has inadvertently switched the ringer on. Thankfully it’s usually only been an email bing that alerted me to the fact. So a concept like App, a film with a second screen experience, is not something I’d disavow as a notion on principal, but it’s not something I’d personally engage in on first viewing. This is a concept that’s not unheard of. Some television shows have used apps to offer additional second screen content as the show airs. Basically how these work is the app accesses your microphone to pick up where you are in the course of the show so it can synchronize pop-ups. From a marketing perspective it’s great for branding of your film. It also, if you keep the app, creates a keepsake of the film for the viewer. Anyone who looks at my Instagram knows that’s something I’m fond of. So with the basics and background out of the way how does Iris operate and interact with the film? You text the word “Iris” to 97000 on your Android or iPhone and receive a link to download the app. 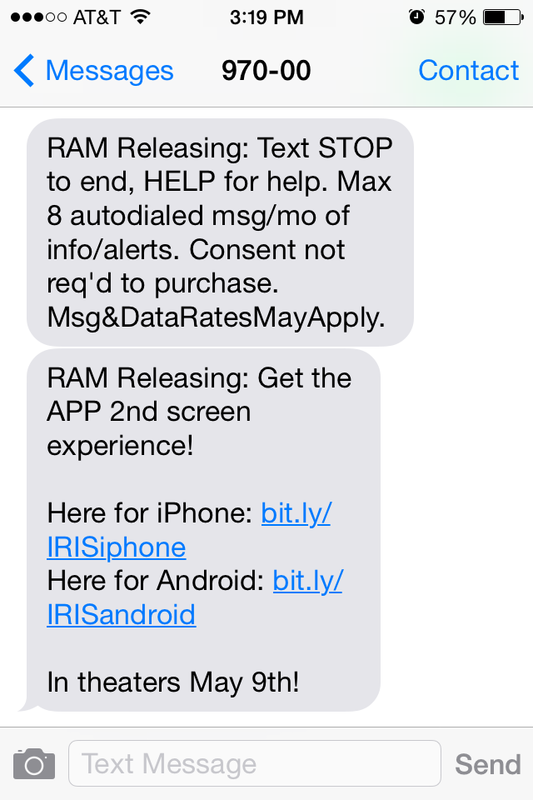 This also subscribes you to RAM Releasing’s text-blast list, which is smart of them and easy enough for you to opt out of. First, if you turn off your ringer the phone will vibrate when there’s something to be seen on the second screen. This is helpful. It being a second viewing I spent too much time glancing at my phone when I didn’t have to. Also, activate the do not disturb function on your phone as push notifications from other iPhone apps will appear on your second screen if you don’t. When you open the app you hit start when the film tells you to do so. If your microphone is obstructed start-up will take longer and you’ll see more scrolling code than needed. 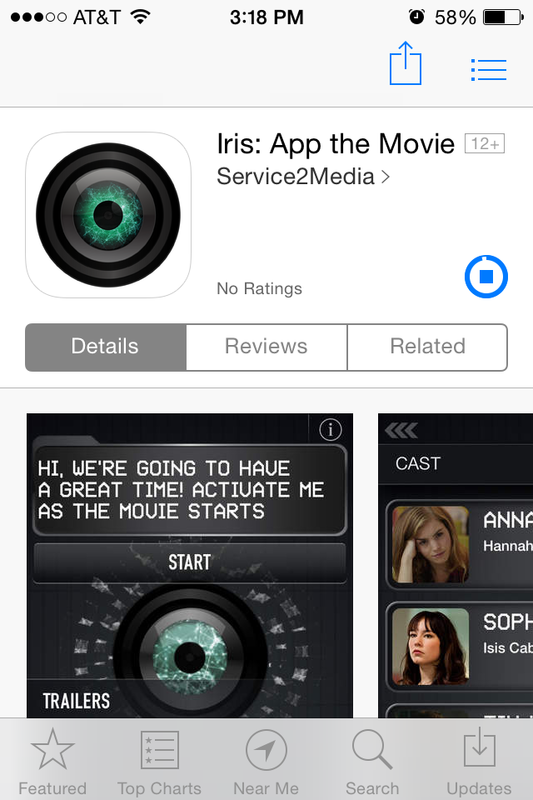 The app’s icon and the words “IRIS ACTIVATED” will appear when it’s working. Also, if you have to take a bathroom break, either at home or at the theater, you can restart the app. It will say “Ah, so there you are…” when it’s synced and get you right back on track. What are the things you can hope to see, without putting too fine a point on it? There are alternate cuts of scenes. For example My favorite shot in the film was cut down for pacing reasons. With second screen you can watch that shot continue as the film goes through transitional shots. In essence, what this creates is a new-age split-screen. The important thing here is to reduced the level of gimmickry and make the technological component feel intrinsic to the story, which based on the synopsis of this film it does. It really was designed to include this element. If it does that and draws in more viewers it can’t be all that bad. What you get in the approximately 35 instances when Iris warrants your attention during the film are only occasionally extraneous bits of information. There are purposeful filling in of chronological gaps, all interactions are tonally appropriate for the moment. One item even underscored what I perceived one subtext to be based on what was implied in the monologuing of the antagonist. It also provides nice moments where you’re in the action seeing the same thing on your phone the characters are, and it re-highlights certain facts. I can go on a philosophical jag, asking “What is cinema?” as if I fancied myself to be Andre Bazin, but I won’t. It’s not a treatment that would fly at an Alamo Drafthouse. 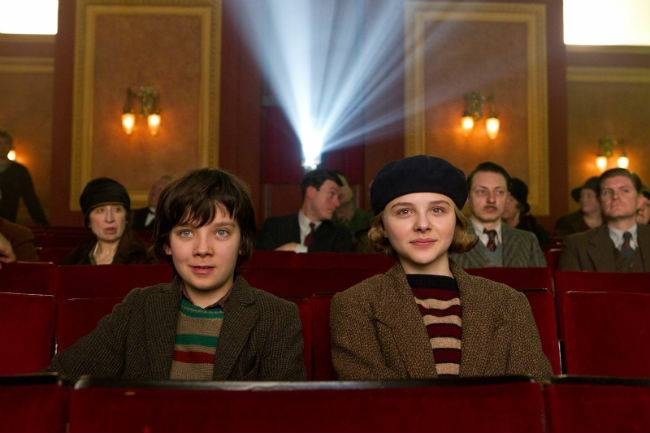 I do know that the cleverness of this film is that it connects the experience to the film. This film doesn’t concern itself with if the tide of cellphones in movie theaters can be stemmed. And the film also doesn’t concern itself with if second screen technology in cinema will be a blip or a trend. Whether 50 years from now this ends up being the beginning of a trend like the shift in aspect ratio or just a wise ploy of its time that can’t be replicated like those in William Castle’s repertoire remains to be seen. What I do know is that the app works really well and it would’ve been a seamless experience if I personally wasn’t in uncharted waters and distracted. Having the aforementioned guidance ahead of time would’ve made it quite perfect. My rating scale isn’t calibrated for second screen. Take all my points into consideration, and more importantly, read what I said of the film before making your own decision about how and if to watch it. 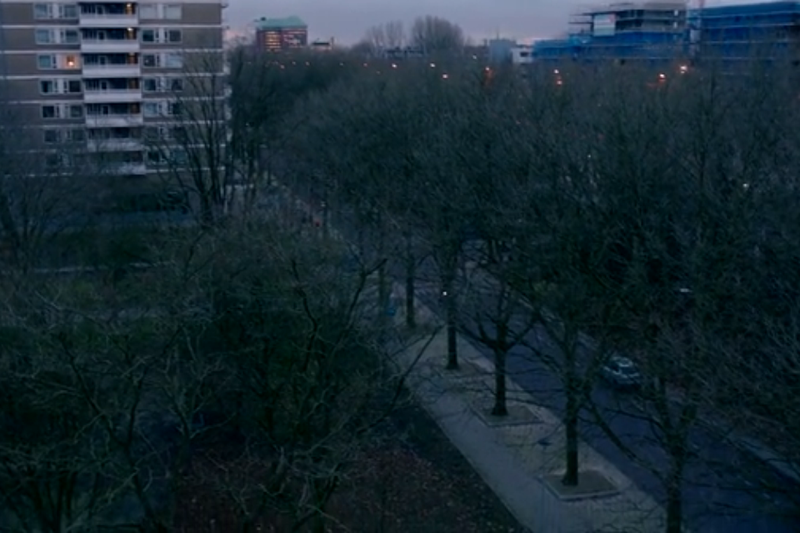 App is a Dutch horror film that is the first feature length motion picture to employ second screen technology – meaning additional content will play on a viewer’s phone. For more on that and how it plays with the film itself come back tomorrow where I will review that portion independently. 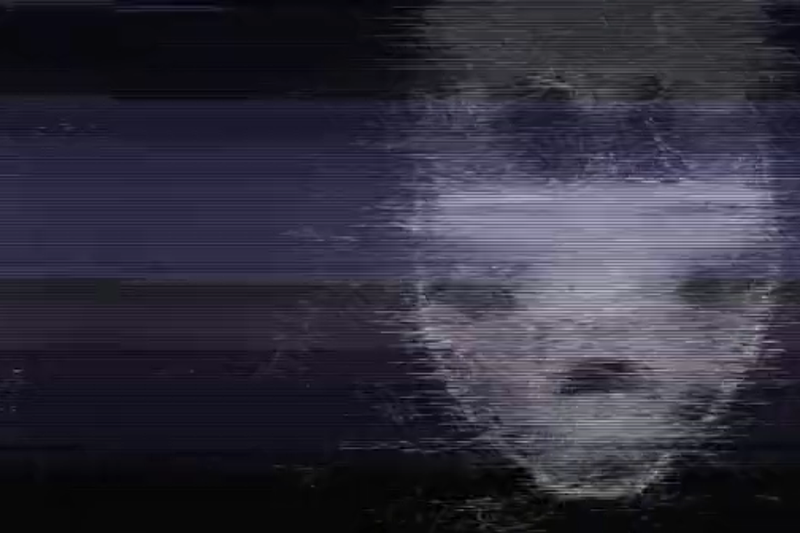 The merging of technology and horror in plot is not a new trope. However, it is always noteworthy. As technology evolves cinema will invariably comment and employ. Text bubbles appearing onscreen, as opposed to shooting the phone’s screen, is now commonplace in the language of film. So it was only a matter of time before horror went from voicemails and cellphones themselves to apps. This is a story that clearly will take a supernatural slant as it concerns Anna (Hannah Hoekstra) who finds an app on her phone and doesn’t know where it came from and she can’t get rid of it. From that moment the stakes only increase as the A.I. continues to only get stronger and more omniscient. One of the best aspects of the film is how it sets things up and then delivers pay-offs in unexpected ways. Characters both major and minor are introduced and the film spends a good portion of act doing that, but as it does its also foreshadowing and setting up incidents later on. In fact, there were a few set-ups that became apparent to me one my second viewing. One of the things the film does struggle with a bit is a balancing act many films have to figure out, which is what to explain and what not to explain and when to disseminate said information. A lot of the answers are all provided at once in a monologuing-style stream such that its possible some information can be lost in hindsight. Not that the film quite gets off the rails, but as things are speeding towards a conclusion it’s a bit of a slow-down in pace to get the answers. The film overall does not engage in much spoonfeeding such that one small ever-so-slightly incongruous section such as this one stands out even more. However, in dealing with it alone it does leave some things for you to ferret out and some stay mysteries. One very pleasant aspect of the film is that the catalyst for the inciting incident is not a dumb/obvious mistake by the protagonist, but rather a an innocent and not very apparent one. There are based on incidents in the narrative requisite scenes that must be played out: namely those between Anna and Sophie (Isis Cabolet) when they’re fighting. These scenes are not belabored, well-handled and resolved with minimal dialogue. As opposed to one of my favorite recent film discoveries Hellphone; App, while still having comedic moments, is playing it a bit more serious. To do that with a fairly outlandish plot requires a lot of finesse in the directing and scripting, but also from the cast. The standout being Hoekstra who effortlessly conveys and intelligent, tough, fun-loving character whose turn as horror heroine rivals that of Sharni Vinson in You’re Next, albeit in a far different subgenre. App is a film that works quite well, whether you decide to engage in the wizardry of the second screen experience or not. Its an 80-minute tale that feels brisk and not truncated, that’s is great fun and even though all the kills and thrills aren’t jaw-dropping surprises they are well-executed and staged. An interesting quick look at Arnold Scharzenegger’s early life and some of the leaps of faith he took to get his career started.